When it comes to keeping your pet healthy, there are more ways than ever to get the best care. In fact, the field of veterinary medicine is becoming more specialized every day. Just as there are specialists for human conditions like heart disease, many veterinarians choose to focus in specific areas in order to provide advanced care for their patients. Whether you've been referred to a cardiac specialist by your veterinarian or are seeking answers to your pet's condition on your own, it's important to evaluate any specialist carefully before committing to care for your pet. One of the criteria to consider is whether the specialist is board-certified. Here are just a few reasons that choosing a board-certified cardiologist can help your pet live longer, experience a better quality of life, and provide you with peace of mind. Veterinarians who undergo advanced training to become board-certified cardiologists demonstrate a passion and commitment to their field and the welfare of the pets they serve. In order to become a board-certified cardiologist, a veterinarian must complete 3 years of cardiac-specific training. During these three years, the veterinarian must pass 2 extensive examinations in both general veterinary internal medicine and veterinary cardiology. Completing this rigorous program also demonstrates advanced knowledge and experience that is invaluable when it comes to proper diagnosis and treatment. Board-certified veterinary cardiologists work with patients with heart conditions every single day, so they are more likely to narrow down a general condition into a more specific diagnosis far more quickly. This enables your pet to start treatment sooner and recover more quickly. In fact, patients with congestive heart failure live 75% longer when co-managed by a board-certified veterinary cardiologist and their primary care veterinarian. Board-certified cardiologists utilize state-of-the-art diagnostic tools and equipment allowing them to perform specialized diagnostic tests that can better pinpoint the specifics of your dog or cat's condition. In addition, board-certified veterinary cardiologists employ technicians that are trained in understanding the special needs of veterinary cardiac patients. Board-certified cardiologists not only perform this advanced testing in-office but can also interpret the results at the time of the testing, giving you a more expedited diagnosis. Contrary to this, telemedicine or radiologists often do not have access to full results within a few days. As a pet owner, you want to do everything possible to keep your dog or cat safe and healthy. But, when problems arise, it's great to know you and your pet are in good hands. Choosing a board-certified veterinary cardiologist is a great way to ensure your pet gets the right care, when they need it most. 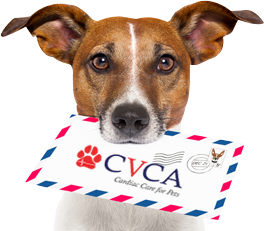 If you're looking for a board-certified veterinary cardiologist in Kentucky, Maryland, Texas or Virginia, CVCA is here for you. Our team of board-certified cardiologists sees more pets with heart disease than any other practice worldwide! We work with your primary care veterinarian to ensure the best results for your pet.